CAREER: Born in Bonasse Village, Cedros, Andrew DeLaBastide moved to Port-of-Spain with his family when he was 3 years old. 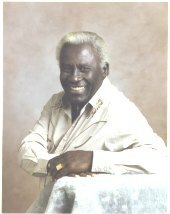 He began his steelband career with Casablanca in 1941 at the age of 13 and later joined Hill 60 (aka The Chicago Steelband) which was led by Henry "Patcheye" Pacho't. At Hill 60 he became known as "Pan." 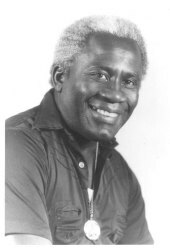 He was one of eleven panmen selected to join TASPO as the Trinidad & Tobago representatives at the 1951 Music Festival in England. With the knowledge acquired from the TASPO Musical Director, Police Lt. Joseph Nathaniel Griffith, and other panmen on the tour, "Pan" returned to Hill 60, became its leader, and raised the playing level of the band. In the 1950s, he led Hill 60 on a tour of South America (Brazil, Chile, Ecuador, Peru) and Central America (Costa Rica, El Salvador, Guatemala, Honduras, Nicaragua, Mexico, Panama). In 1960, he headed for California, USA, where he resided for the rest of his life.